The many types of broadcast content available these days make it possible for just about anyone to find specific shows in their wheelhouse. Whether you want to listen in to radio shows that go into great detail on local issues or prefer to join in on the conversation about the teams in town spearheaded by local analysts, you can more easily do those things now. Or at least you should be able to. The problem for many people is that the radio shows they want to listen to may not be coming in loud and clear because of where they live. It can be incredibly annoying to deal with inconsistent signals and static mucking up the broadcast. If you are among the people suffering from that kind of problem, it as a good idea to look into purchasing an indoor radio antenna. Over the course of this article, we all talk about some of the top examples of indoor radio antennas currently on the market and also get into the factors that will help determine how well a specific antenna performs. 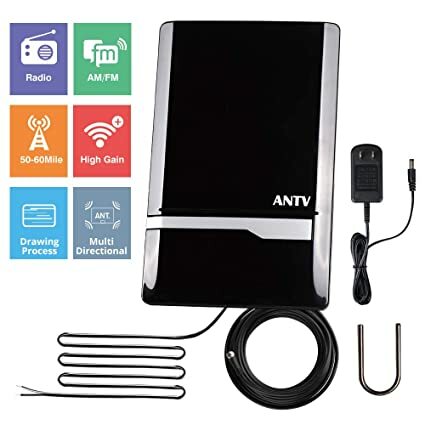 What is the best indoor radio antenna to buy in 2019? If you live in a home with no open area, chances are you are going to have a difficult time capturing any kind of reliable signal. There may simply be too many things that are preventing you from getting the kind of reception you want. All hope is not lost however. 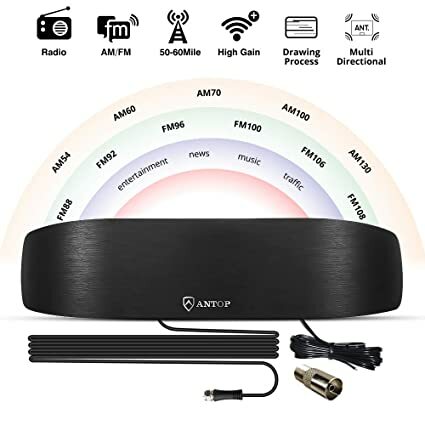 If you want to continue enjoying your favorite radio shows even in that situation, you will need some assistance from an indoor antenna that can offer targeted functionality. That is precisely what the SR-100 from Magnum Dynalab provides. 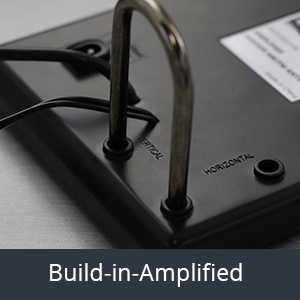 To get the most out of this antenna, you need to hone in on the origin of the signal you are looking for. Once you get that done, simply point this antenna in that direction and let it work. You can also aim this antenna towards a reflected signal, provided that the signal in question is strong enough. The manufacturers have also added some other features that should make training this antenna on a specific signal easier. You can fiddle with the knob to get closer to the signal you are chasing after or keep moving the base around until you get locked in. It doesnt really help that the cable included is on the short side however. Admittedly, there is quite a bit of guess work involved in getting this antenna to work properly, but your efforts will pay off. After it's been tuned in properly, the signal will come in loud and clear and you will be able to just sit back, relax, and listen to your favorite stations. Nothing can greatly diminish the experience of listening to radio quite like frequent cut-ins from loud static. Youre just sitting there trying to relax, but instead, the static makes it impossible for you to fully enjoy yourself. Those issues with static can be dealt with by the right item though. The AM/FM Amplified Radio Antenna from ANTV is among those items designed to combat static. The presence of the low-noise FM amplifier on this item is what enables it to produce clear audio consistently. The static won't be completely eradicated, but it's minimized to the point that it will not be able to disrupt your experience in any significant way. I also appreciate the fact that this indoor antenna is compatible with a wide array of radios. Many manufacturers don't take into account the varied devices people like to use to listen to their favorite shows and that can lead to some problems. Namely, you may end up buying a radio antenna that doesn't work specifically with what you have. That's not going to be a problem with this antenna. While ordering, you can let the seller know which type of port is used by your radio so that they can include the corresponding connector together with this antenna. It's also nice to have six-foot-long cables to work with. They give you more options with regards to where you all place this antenna inside your home. The manufacturers also note that this antenna should be capable of capturing a signal that's originating from a location that's as far as 50 miles away. On a clear day, with the antenna properly positioned, and absolutely no obstacle getting in the way, you can probably reach a signal 50 miles away. Let's just say that the manufacturers are being a bit generous with their assessment and that you will be better suited to lower your expectations. This antenna failing to reel in signals from 50 miles away consistently is not a deal-breaker, but it's still something you should know before making a purchase. You can't miss your favorite radio shows just because your old antenna decided to finally give out after years of faithful service. Unfortunately, your old antenna is not privy to the concept of poor timing and if it decides it has had enough, then you will have no other choice than to replace it. However, most people don't have a budget set aside just for buying a new radio antenna. 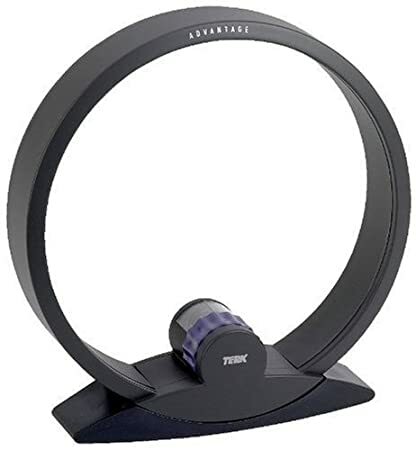 In that case, it will be worth taking a longer look at the Omni-Directional Indoor FM Antenna from Terk. 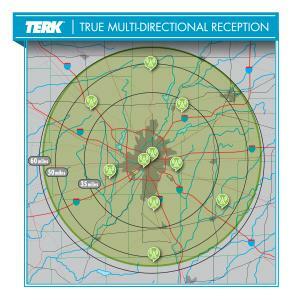 This Terk product is easily one of the most affordable options on the market. It's also one of the nicer looking ones that are currently available. The minimalist design concept used for this Terk creation is easy to work with, so you can place it inside your living room with no issue even if you have a specific scheme. You are also getting six-foot-long cables to work with and that should help you find the right place for this antenna. The FM+ is compatible with HD radio stations. Even if you don't tune in to those stations regularly, it's still nice to have them be made accessible. The biggest issue I had with the FM+ from Terk is that it doesn't improve the quality of the signal coming in that much. At best, the improvement is noticeable but still marginal, which is disappointing. On the plus side, this antenna does also reduce static so the sound quality is still decent even if it's not exactly where you want it to be. Not everyone lives in a metropolitan area where radio signals frequently fly from nearby stations. Many people prefer to live away from the hustle and bustle of the big city and a byproduct of that is having a tougher time trying to detect and catch radio signals. Does that mean that people who live far from the city will have to settle for bad radio reception? Of course not. 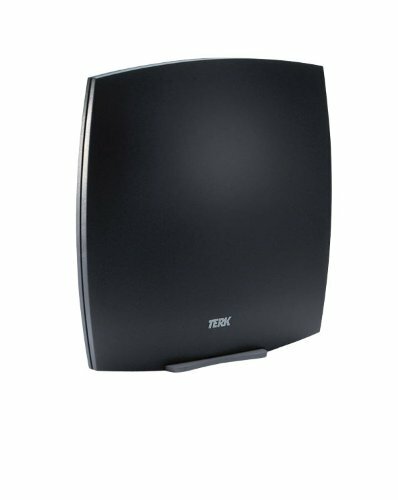 With the AM Advantage Indoor Antenna, the folks from Terk are providing people with something that can significantly boost their radio's capabilities even if they choose to live far from the city. This antenna is able to consistently haul in radio signals from over 50 miles away. That holds true even if conditions where you live are not necessarily ideal. If conditions are ideal, then it's possible for this antenna to link up with a radio station that's nearly 100 miles away. The pin-dot pre-tuning feature is also a welcome addition as it enables you to get the exact signal you are looking for. This is also another omni-directional antenna, which makes it easier to adjust. I personally like the somewhat odd design used for this indoor antenna, but I also understand the folks who are not too fond of it. It's a real shame that this indoor antenna is only useful for AM stations. That limits the capabilities of this item quite a bit. The price is also a bit on the high side so you may have to save up first before purchasing this antenna. 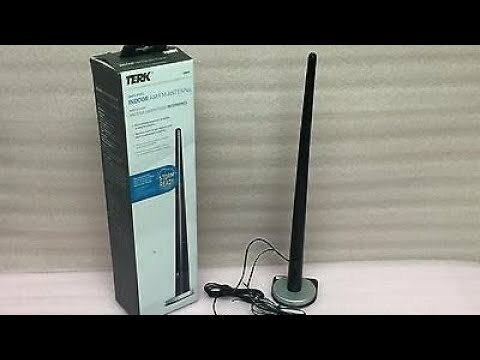 Still, even with the limitations taken into account, you can get plenty of good usage out of this indoor antenna from Terk. An issue many people run into while in the process of setting up their home antenna is simply finding the right spot for it. Even if the cables feature decent length, you may still have trouble getting the antenna set up because it's too big for your designated area. It would be nice if the indoor antenna could boost your reception without messing up your home dГ©cor. Fortunately enough, that's exactly what the Amplified Indoor AM/FM Antenna from ANTOP is designed for. The aforementioned antenna is compact and stable enough to be placed on any small surface and still work as intended. If you want to kind of hide it from view, its small profile will allow you to do that. Just make sure that you are not hiding it behind some kind of metallic object. Its appearance is also simple enough that it should do little to disrupt your home's design theme. I also love the fact that you can move it around pretty easily. There's no reason to worry about needing to set it up again because that's a process you should be able to complete in just a matter of minutes. The performance of this item is where you all be left wanting more. According to the manufacturers, it should be able to pick up on signals that are 50 miles away, but that's as far as this antenna will take you. It works best in the 20-30 mile range and anything above that is going to pose some problems. You are not getting the full package in this ANTOP creation, but if you desperately want an antenna that can fit into your home dГ©cor, you all be happy with this item. Manufacturers like to say that their antennas can comfortably reach signals from 50 miles because they need to. After all, owning up to the flaws of your product is not a good marketing strategy. Not all manufacturers hype up their products without delivering. 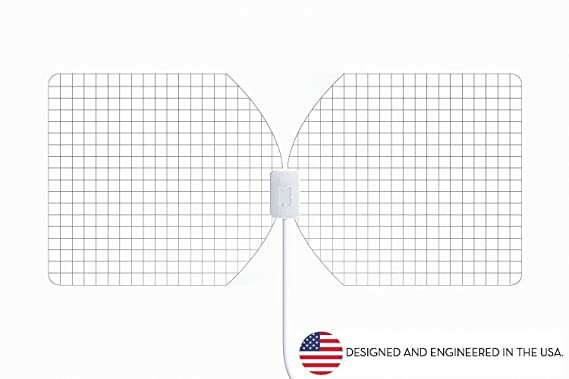 The Transparent Indoor Flat Antenna from RGTech is a product that stands out from the pack because it performs exactly how it is supposed to and it may even work better than advertised at times. The people from RGTech claim that this antenna is capable of reaching signals that are 50 miles away. I'm happy to tell you that this product can indeed pull that off. Ive been using it to track signals at that distance and it has been performing as advertised. On a good day, it can even reach farther than that. The developers of this antenna have also made use of antenna-integrated ultra-wide band technology to boost its performance. What that does is effectively eliminate interference that often mucks up the signals coming in to your radio. This feature significantly improves the listening experience and it will make it easier for you to stay on the radio for hours on end. It's also really nice to have a 15-foot coaxial cable to work with. The manufacturers have even thrown in some foam tape to make the installation process even easier. I can't say that I'm a huge fan of this antenna's look though. It's easy to tell that it's made out of plastic. The material used doesn't seem that durable as well, so be very careful with it during the installation process and make sure you keep an eye on it once it has been set up. Still, the way this antenna performs makes it a more than worthy addition to your home. You don't think of versatility as an important characteristic for indoor radio antennas. Conditions vary from day to day though and you need from your antenna may also change regularly. That's why it would be best if the indoor antenna you have can adjust to your preferences. The Terk Tower is an example of an item that can do exactly that. There are two ways to use the Terk Tower in your home. The first way involves just letting it sit up on any flat surface and then allowing it to get to work. Used this way, the antenna will be able to pick up on signals coming from different directions with no problem. The signal quality is okay but a bit on the noisy side. Go with the upright operation if you want to pick up on all the options nearby and just choose from one of them to listen to. The other way to use this antenna is by laying it down on its side and then pointing it in the direction of a weaker signal. With the antenna directly pointed at that signal, you will notice the reception growing louder and it will soon reach the point where youll be able to clearly hear whats going on. Once again, some noise is still present in what you are hearing, but it's bearable. The Terk Tower performs well enough for both AM and FM stations, so don't worry about this item not being able to cater to your preferences. Its design is reminiscent of older antennas, which I find appealing. 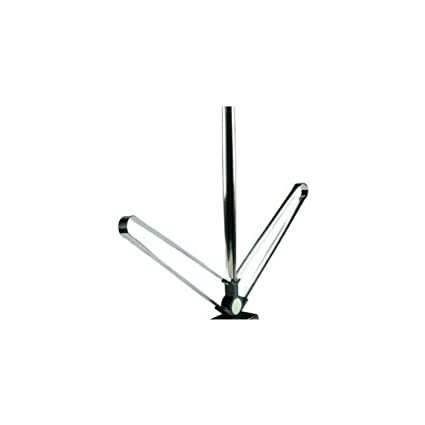 It also helps that this antenna does not take up a lot of space, so you can place it wherever you like inside your home. Before you get a new indoor antenna, it's important to remember a few things that will impact how well it will work for you. Factors such as AM or FM compatibility, working range, and even cable length will help determine if the antenna is one that you all end up loving or loathing. There are a few key differences between AM and FM signals. According to Diffen, AM signals feature poorer sound quality, but they can be broadcast over a wider range. FM signals will sound better on your radio, which is why they are often used by stations that focus on music. Physical obstacles can significantly impact FM signals though. 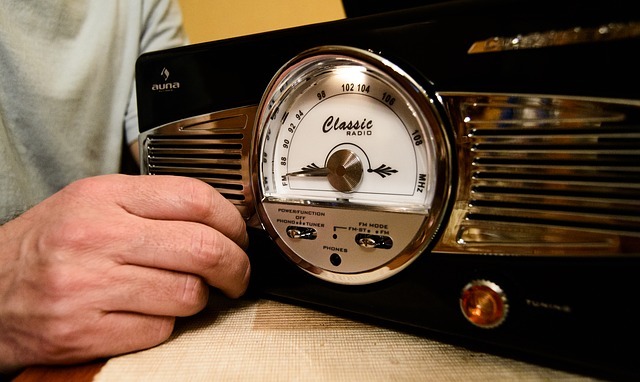 It's important to find out if the station you want to listen to is using either AM or FM. You don't want to end up stuck with an antenna that cannot pick up on the signals being broadcasted by your favorite station. Ideally, you can just purchase an antenna that works with both AM and FM. The good news is that more antennas are indeed capable of that, so you should have no trouble finding one. 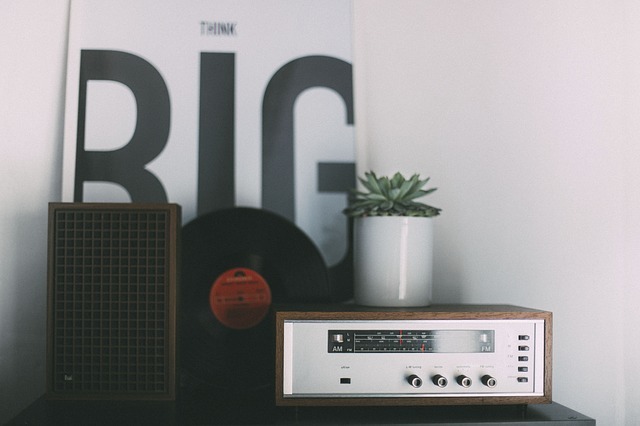 If you are lucky, the radio stations you want to listen to are located near you home and any working antenna should be able to find their signals. However, if you live farther away from the big city, that can make the search for a signal significantly harder. That is exactly why you need a rangy radio antenna. Ideally, the radio antenna you get will be able to connect to signals coming from over 100 miles away, but that is asking a bit much. 50 miles is a more acceptable working range for an antenna. Don't go any lower than 30 miles though as an antenna that lacks range may end up useless more often than not. Coaxial cables are preferred for antennas because of two reasons. First off, coaxial cables are highly durable. They can be moved around without fraying and that's something that will prove very valuable for an indoor antenna that will probably have to be adjusted quite often. Coaxial cables are also better because they provide protection against interference. Anything that can help protect an antenna against outside interference is helpful and the outer braid on the coaxial cable is what provides that, according to TechHive. Also, a six-foot-long cable would be best for an indoor antenna, but if you can find something with greater length, then go with that. It's no fun listening to the radio if the signal isn't coming in clearly. You can try and just endure the poor sound quality, but at some point, you will get frustrated and turn the radio off. 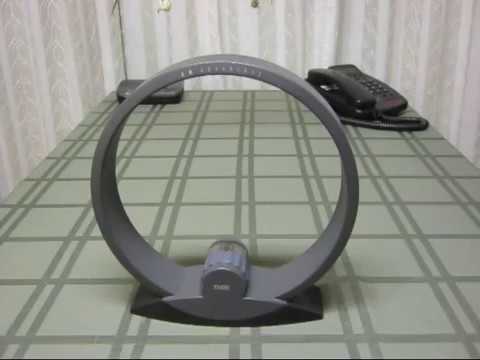 Thankfully, indoor radio antennas are now widely available and they will help vastly improve your listening experience and that's true regardless of whether you prefer AM or FM radio. 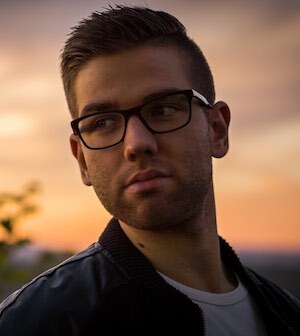 I hope that this article will be able to help you track down the indoor radio antenna you need so that your listening sessions will only yield enjoyable experiences moving forward.